My team and I have spent a few weeks on a search for the best compact cameras for professional photographers and we have finalized Fujifilm X100F as the best compact camera in the market. We have considered a good number of factors before finalizing this camera. We considered these factors before choosing the camera: image and video quality, price, portability, image stabilization, autofocus, shooting speed, and EVF. What is bad about this? Our winner was not only impressive in terms of specifications but size allowing the user to pocket it comfortably or add to luggage without it being conspicuous. The Sony RX100 VI comes with an electronic viewfinder that ensures that you capture your shots fast and easy. The EVF ensures that you capture in high resolution and a well-exposed illumination as well as high contrast. The feature enables you to adjust your settings via the eyepiece. The camera is a huge contender for the world’s fastest autofocus (0.05). The hybrid system works great when capturing fast action without missing a moment. One of the most impressive features of the small compact camera is a comprehensive phase detection using up to 315 Auto Focus points. The continuous shooting speed clocks at 24fps. The speed works in tune with the auto exposure feature to ensure you get a good shot even at high speeds. The 20.1-megapixel image sensor provides an excellent image quality thanks to a vamped up CMOS sensor. You can also enjoy vlogging in 4K without pixel binning and great speed. The playback options include a super slow motion option of up to 960fps. Compact cameras are not built for long distance shots but the 3.6X zoom is more than sufficient. Image quality: The EVF gives you high-quality images in high-resolution exposure, and illumination as well as high contrast. This is also aided by a 20.1-megapixel image sensor and CMOS which provides an excellent image quality. You can also Enjoy vlogging in 4K without pixel binning and great speed. The playback options include a super slow motion option of up to 960fps. Pricing: The camera is the most affordable one we have on the list with a lot of impressive features. 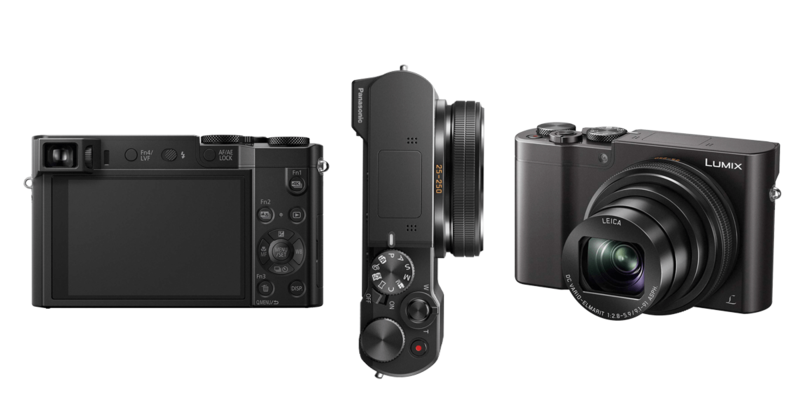 Portability: The compact camera is perfect for traveling fitting snuggly in your bag or pockets. Image stabilization: The camera comes with image stabilization for those shaky moments in fast action and no-tripod situations. Autofocus: It is believed to have the highest speed when it comes to autofocus. The camera is a huge contender for the world’s fastest autofocus (0.05). Shooting speed: Enjoy continuous shooting speed clocking at 24fps ensuring that you do not miss a moment in between seconds of action. 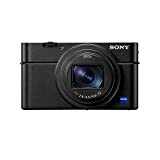 EVF: The Sony Cyber-Shot DSC-RX100 comes with an electronic viewfinder that ensures that you capture your shots fast and easy. The feature enables you to adjust your settings via the eyepiece. Our second choice proved worthwhile with a large array of features. The Panasonic Lumix ZS100 camera has been designed for quality video and shots. This is a perfect camera if you are not so sure about leaving your DSLR. The camera will fit the bill well enough to give you amazing shots. The large 20 Megapixel sensor develops colorful photos that are bright and well exposed. Worried about long distance shot? The camera comes with an impressive 10X zoom capability. This works well with the inbuilt EVF and autofocus. The aperture boasts F/2.8-5.9 range giving you amazing background defocus effects. Vlogging has never been this fun with a 4K Ultra HD option that captures every moment. The package comes with 4K post Focus and Lumix 4K photo. You get a Preview touchscreen for those lie moments and a lens mounted in a DSLR-like way to give you the all too familiar DSLR exposure control. Image quality: The large 20 Megapixel sensor develops colorful photos that are bright and well exposed. The aperture boasts F/2.8-5.9 range giving you amazing background defocus effects. You will also get 4K quality video shooting which is perfect for vlogging and other video projects. Pricing: This is an affordable piece considering the quality of image and video it produces. 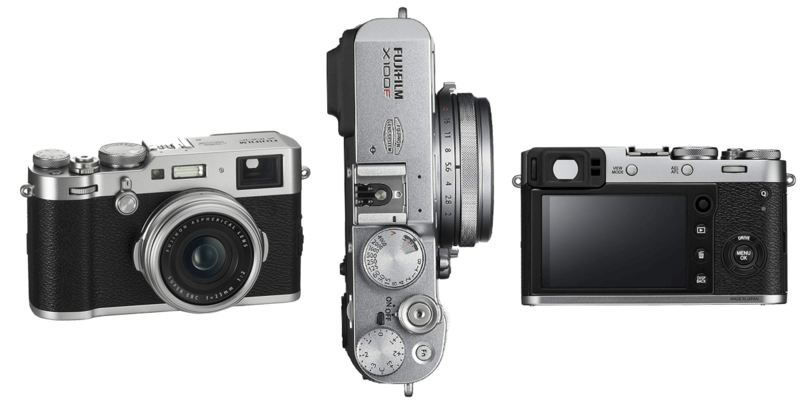 Portability: A small compact camera for every occasion and traveling. Saves you luggage space and does not look conspicuous in jacket pockets. Image stabilization: Comes with an image stabilization feature for action shots which also allows you to be part of it. Autofocus: The camera comes with an impressive 10X zoom capability. This works well with the inbuilt EVF and autofocus. Perfect for Vlogging with a 4K Ultra HD option that captures every moment. Also comes with 4K post Focus and Lumix 4K photo. Shooting speed: The camera supports high speed shooting for continuous shooting features that ensure you record every moment. Fujifilm made it on our list with the Fujifilm X100F camera. 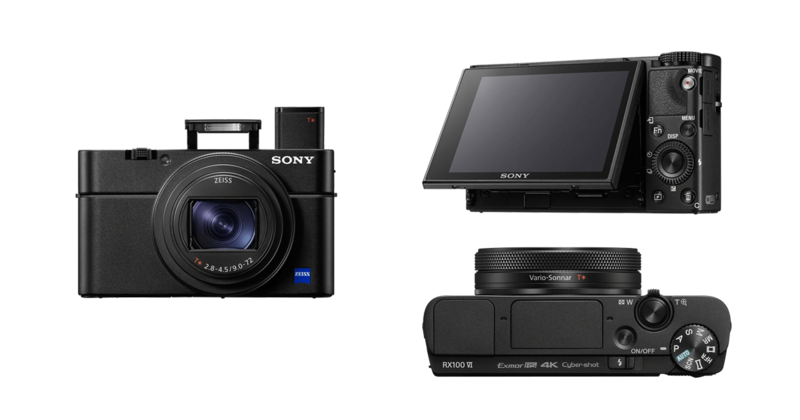 The small compact camera comes with a list of impressive accolades including an AF mode that has three options: Single, Zone, and Wide tracking. 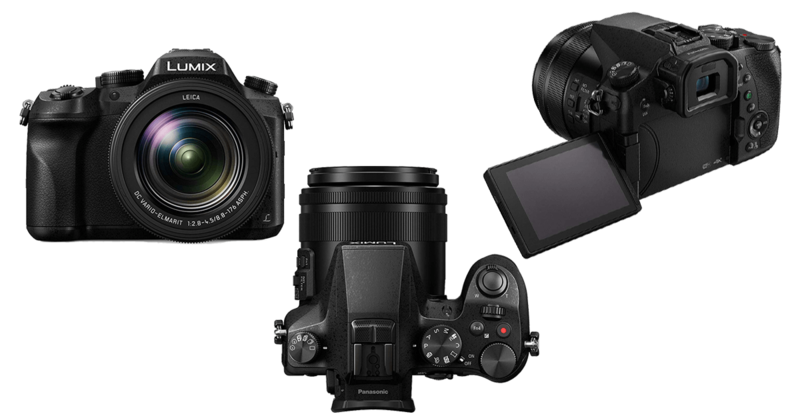 You will also enjoy great shots, high-quality images that are bright and well-exposed thanks to the no low pass filter CMOS III APS-C sensor and X-Processor Pro. The previous 8-way focus level and the focusing point has been built up to 91 from 49. The camera features an ISO Dial that is built into the shutter speed dial. You want a camera that will last a long time when you are out there and so the battery also matters. The Fujifilm masterpiece comes with an impressive battery for this very reason. Image quality: You get great shots, high-quality images that are bright and well exposed due to the no low pass filter CMOS III APS-C sensor and X-Processor Pro. This is also a great camera for video recording with a 4K quality output. Pricing: The camera is not as cheap as the previous two but worth every penny due to the impressive feature. Portability: Easy to pack and carry around without breaking your back. The camera can fit in tight spaces well enough to free your hands for the moments. Image stabilization: The image stabilization feature is great for fast action photography and video recording. Autofocus: Comes with a list of impressive accolades including an AF mode that has three options: Single, Zone, and Wide tracking. The previous 8-way focus level and the focusing point has been built up to 91 from 49. Shooting speed: The camera features an ISO Dial that is built into the shutter speed dial. It also supports continuous shooting capturing every possible moment. EVF: Comes with a viewfinder. Our fourth contender was the Panasonic Lumix FZ2500 camera. This is an ideal piece for those fast focus and shoots moments that you never want to miss. The camera is perfect for the vlogger, the beginner and the professional alike. An impressive 20X LEICA VARIO-ELMART lens that is supported by a huge 1-inch 20.1MP sensor provides bright F2.8-4.5 range options and great photos. Vloggers will definitely take to the 4K Ultra HD feature with focus stacking modes, 4K post focus and LUMIC 4K PHOTO. “CINELIKE V” and “CINELIKE D” gradation modes provide a cinema-like feature with timecode and live HDI output. You also get ND filter controls for the lens. The camera also comes with an image stabilizer ensuring that every fast action moment is captured. The fact that you will not be using a tripod most of the time you handle a professional compact camera makes this feature one of the most crucial. Image quality: You get an impressive 20X LEICA VARIO-ELMART lens that is supported by a huge 1-inch 20.1MP sensor provides bright F2.8-4.5 range options for perfect images and videos. Also, feature “CINELIKE V” and “CINELIKE D” gradation modes provide a cinema-like feature with timecode and live HDMI output. Pricing: A well-priced camera with impressive features. Vloggers will definitely take to the 4K Ultra HD feature with focus stacking modes, 4K post focus and LUMIC 4K PHOTO. Portability: Easy to carry the camera for outdoor events and shoots. Can be concealed in a bag or pocket. Image stabilization: Image stabilization allows action shoots without a tripod. Autofocus: A high autofocus enables you to pick a number of subjects making it perfect for groups. Shooting speed: Enjoy fast continuous shooting mode for capturing every fleeting moment. 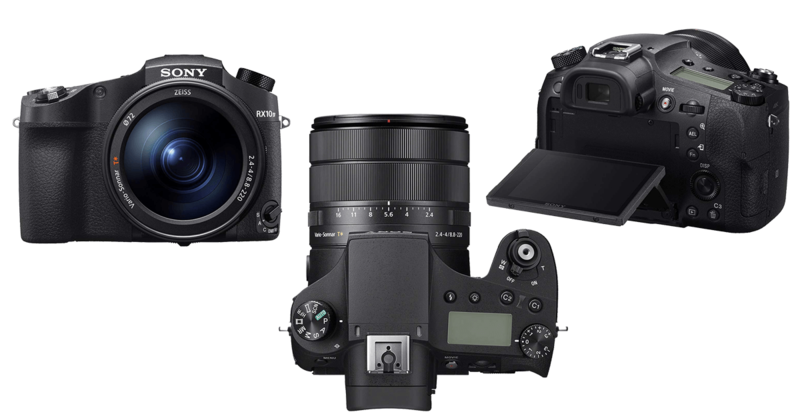 Sony Cyber-Shot makes it back to the list with the RX10 IV camera that boasts of being the fastest AF acquisition camera in the world at 0.03secs. The camera shoots great quality pictures and 4K quality videos that are bright and in good contrast. The camera has a built-in image stabilization feature which works splendidly while shooting with your hand at allowing light. Other features include a phase detection of up to 315 AF points, an ultra-zoom lens (24-600mm3 f.2.4-F4) A 20.1 Mega Pixel 1 inch Exmor RS stacked, back-illuminated CMOS sensor and fast continuous shooting mode with 24fps refreshing rate and 249 frames. Autofocus and AVP tracking mode will make shooting action bliss with Cyber-shot. You will also be able to slow down the playbacks up to 960fps for super slow modes. Image quality: Features a phase detection of up to 315 AF points, an ultra-zoom lens (24-600mm3 f.2.4-F4) A 20.1 Mega Pixel 1 inch Exmor RS stacked, back-illuminated CMOS sensor. Pricing: The most expensive option on our list but worth it. Portability: Small and compact enough to fit well in a bag as well as be concealed in your jacket pocket during events. Image stabilization: The camera has a built-in image stabilization feature which works splendidly while shooting with your hand at allowing light. Autofocus: Features the fastest AF acquisition in the world at 0.03secs.An autofocus and AVP tracking mode make shooting action bliss with Cyber-shot. Shooting speed: Fast continuous shooting mode with 24fps refreshing rate and 249 frames enabling you to capture every moment in action based events like sports. Picking the best compact camera was not a one day job for a reason. The pool of professionals that I worked it all had preferences. The one fits all expectation did not work due to the fact that all professionals prefer and work with different subjects. The pool of professionals had to reach a compromise that worked perfectly for all the needs in the field and these 5 cameras fit the bill more than perfectly. Some of the compact cameras really surprised the panel thanks to the level of inbuilt tech and deduction. Picking the best had to be done on given criteria and features like pricing, Quality and build came in. We subjected the cameras to various fields, activities, distances, image stabilization, autofocus capabilities, EVP finder, Processor power, light exposure, and packing. The exercise was carried in a span of over a month with every professional in the team experiencing a compact camera for a while. The experience helped eliminate most of the candidates leaving us with the best for professional work. These 5 cameras are the closest you will have to reproduce what professionals will produce why working with high-end manual cameras. The quality of the image is everything when it comes to picking a camera. There are many factors that may affect the quality of the image and professionals will know how to adjust the necessary features to test this out. A good image will be highly dependent on the processor, the exposure, Shutter speed and many more. The resolution of the image is the only thing you will be looking for in this. The brightness of the image will determine the quality of the overall image. The quality of the image can be determined right from the counter with a few shots of the area. Ensure you also try a few shots in a lightly dim area to ensure that it is a good performer. Cameras that will struggle in low light will not work for you epically if you are going to be using them in similar conditions. The quality of the video also needs to be checked. The best cameras will come to 4K which is good for vlogging. HD cameras are as good. The level of the video quality will also directly affect the space that it will take up. It will also affect the weight of the video when being edited. Cameras that have the 4K option are either way the best in the market and should be highly considered for projects and professional jobs despite this. Camera pricing may not be such a big deal for professionals that re already used to working with very expensive DSLR cameras. They should not cost as much as the professional cameras but be reasonable. The best cameras will range between $400 and $2000. The amount you are willing to spend will be affected by the features you get. Cameras with extras such as Wi-FI connection, HDMI live shooting options and touch LCD screens will cost more. This may not be necessary for every professional. Buying a camera worth more than $2000 that is not a DSLR may also not be very lucrative for a professional camera user. Picking a cheap one will also compromise the quality of your photography. It is wise to note that these cameras are alternatives for your heavier kits and have to match up. Cheap will be expensive in terms of production. More professionals are opting for compact cameras especially for projects that require a lot of traveling, taking photos in awkward angles, elevations, and places. The whole idea behind a camera is the ability to carry it around. A camera that will fit comfortably in your bag or pockets is best. Traveling around with a DSLR kit will not only cost you money but need you to be careful. A compact camera can be concealed easily and used just when the moment is right. It is a powerful tool especially in places where a DSLR set up would be a distraction such as at wedding and other quiet events. A lighter option will also make long travel photography bearable. Having to ferry a whole bag of camera equipment when walking is not an easy task. The strap will eat at your shoulders and the back burden your back. Image stabilization is an added advantage even for the DSLR cameras. It is one of the most crucial aspects of photography. Taking still photos will a compact camera that is most of the time held by hand is grueling. Hands are not reliable which is why most photographers will use tripod stands. In cases where these are unavailable or impossible to carry around, image stabilization kicks in. The feature provides the photographer with the ability to take photographs without shaking. A shaky image will not only be out of focus but blurry. Image stabilization also allows autofocus to work when taking action shots. Autofocus is almost impossible to work without when it comes to compact cameras. 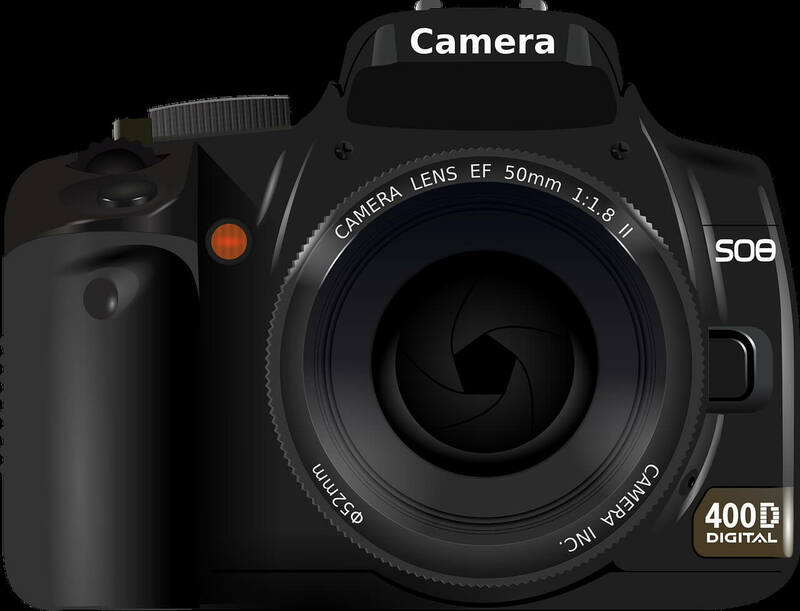 DSLR cameras are no using the feature to ensure that images are sharp. Cameras with more than one autofocus point are the best choice especially when you are targeting more than one subjects. Cameras now come with more than one autofocus points with some having as many as 91. It is wise that you figure out how many of these your camera comes with. AF points will add value to your photography also allowing to take quick action photos fast and reliably. This feature aids the professional user to determine the subjects faster as compared to having to do it manually. The shooting speed of the camera will determine the quality of the image and the value of continuous shooting. Continuous shooting enables the user to take many photos without missing a step accurately. The ability to take many photos in a span of seconds makes the compact cameras a great option for action features. The ability to do this without losing focus is what determines the quality of the camera. Continuous shooting also allows you to have a selection of pictures to take from. Capturing the perfect moment may be evasive and could take hours to master. Continuous solves this challenge with a number of shots milliseconds apart to give you the perfect option. The continuous shooting mode also needs to be in silent mode. It is perturbing to hear the clicks of a camera in places where most people will deem inappropriate. The camera clicks that come with SLR and DSLR cameras are absent in compact cameras making them the perfect tool for quiet events. There was a time the EVF was not a much need aspect of using digital cameras. The viewfinder is available in the SLR cameras for professionals. The EVF provides the user with a more realistic result of the shot as compared to the display screen on the camera. The viewfinder is always a moment late but gives you a good idea of what the photo will look like allowing you to adjust mistakes fast and easy. Some of the challenges of the EVF is that it drains the battery fast. A professional user will find the EVF to be one of the most useful aspects of using a compact camera. 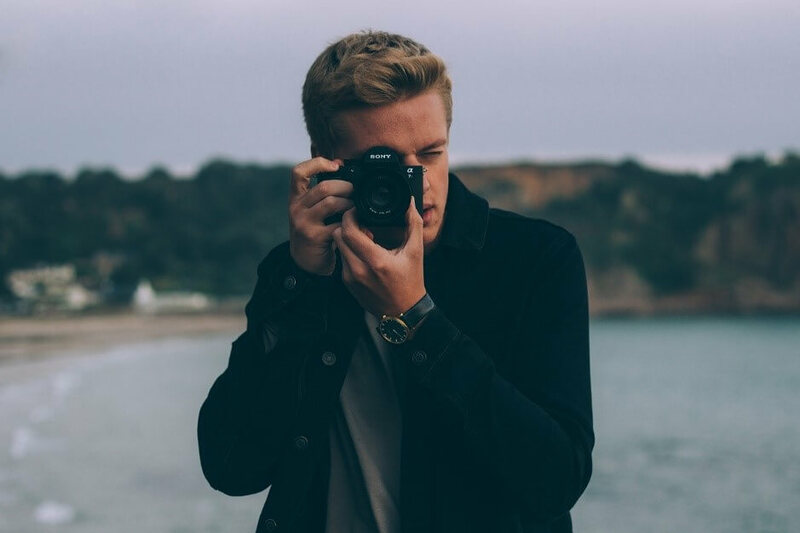 This is an ideal piece for anyone that is looking to break into photography as a field of interest, a professional that is looking for options in the field of smaller cameras and a novice looking for professional results. Picking the right camera is a challenge thanks to the thousands of brands in the market. There are terrible options out there just like there are some really good ones. Relying on the word of the salespeople will get you into trouble fast unless they have a knack for honest reviews. Taking time to research and get to know what kind of cameras will work best for your line of interest is crucial. The fact that cameras are not cheap should be motivation enough. Knowing about the cameras is not enough if you have not learned how to use it. You need to have a good background on the different features so as to pick momentum. The piece is perfect for professionals that are looking for smaller alternatives that will not send them too far from their more intricate SLRs and DSLRs. It is for the professionals that do not trust the world of compact cameras or anything automated for that matter. Innovations are solving a lot of manual challenges we had and this should be embraced. Faster processing time and support when taking shots will get work done faster and in a more reliable way. Vlogging has also become of the best ways to market products. A camera that provides you with high-quality videos is important. 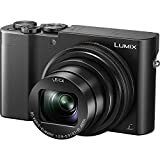 This is for you if you are looking for a compact camera that will provide high-quality audio and video for professional production. Having worked with cameras almost all my life has led me to appreciate a number of factors about the various builds out there. 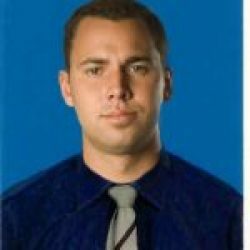 It is difficult to find a ‘one fits all’ camera even for a season professional. Cameras area was chosen for the purpose and not vice versa. Learning this factor will allow you to pick a camera according to the job at hand. Compact cameras may seem like an option for those that are not well learned when it comes to the profession but this is not so. Professional camera users have found out over time that compact cameras will provide solutions that they will appreciate. Besides taking professional jobs, I love traveling. Moving around with my professional gear has proved tedious with time and age and compact cameras have become a great solution. Compact solutions are able to take great shots and record amazing quality raw video that allows unique editing. The autofocus and EVP options couples with image stabilizing push the limits of readymade production for the enthusiast and novice alike. The realized has also allowed me to comb through a huge number of compact cameras with time. My experience also allowed me to make lesser mistakes as I knew what I was doing. Having worked with a huge number of experienced photographers also exposed me to the use of both DSLR and compact cameras for various projects and test the capabilities of the two options. Picking the right camera for you should be done from a point of knowledge. The information you subscribe to will determine the kind of results you will get. Taking time to not only find the right fit for your job will save you money and time. It will also save you the need to carry around a load of cameras every other time. It is a fact that DSLR cameras are not needed in every shoot out there. Having a compact camera that you can fall back to makes work easier in the long run. The best camera has to be the one that gives you the closest results to what you would normally get from your professional DSLRs. The convenience that compact cameras give should be put into consideration especially if you will be traveling a lot during photography. It is recommended that every professional photographer pick up a compact camera as an option.